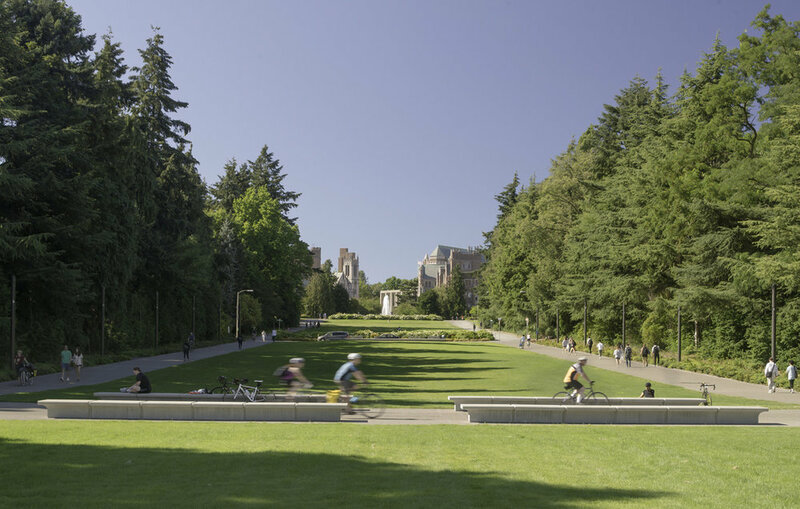 GGN’s design of the Lower Rainier Vista extends, clarifies, and completes the Rainier Vista axis, which is an original component of the University of Washington’s historic campus. 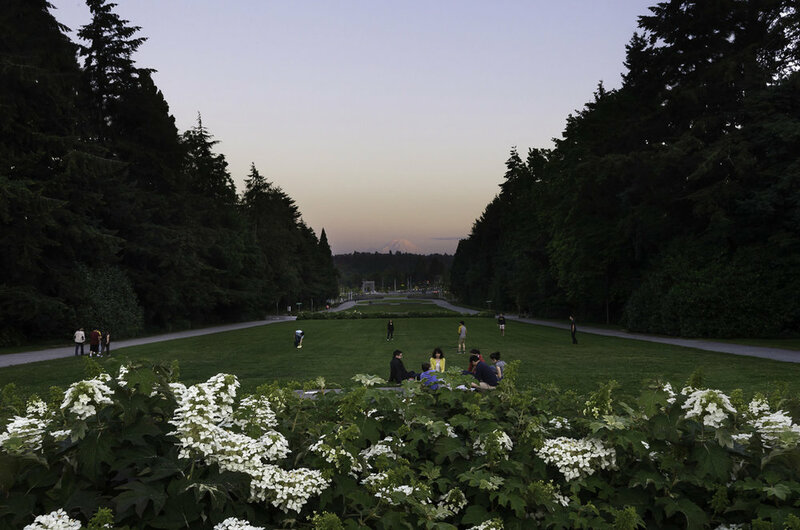 The Vista was first conceived in the early 1900s by the Olmsted Brothers as a view axis framing a scene of Mount Rainier. 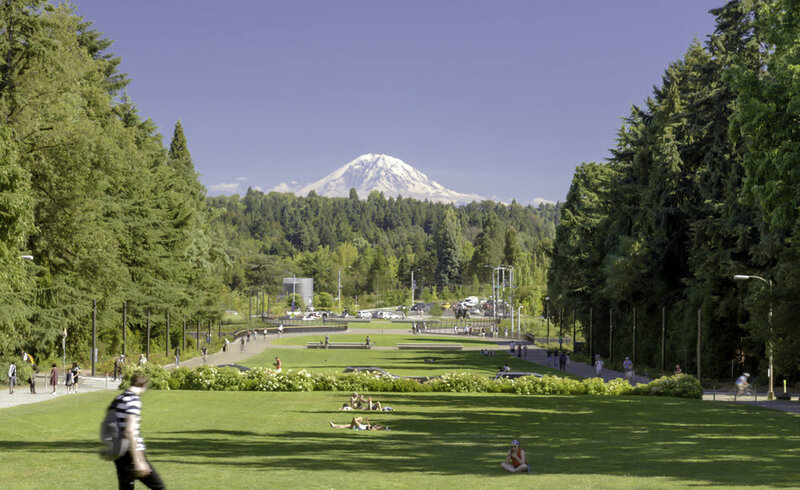 The Lower Rainier Vista design references collegiate-gothic forms and uses fine-tuned grading of the Vista to frame views, integrate modern infrastructure, and provide new ADA-connections. A prominent feature is the addition of a land bridge which facilitates multi-modal integration of pedestrians, cyclists, buses, and automobiles between the new light rail station at Husky Stadium, Montlake Triangle, and the campus heart.